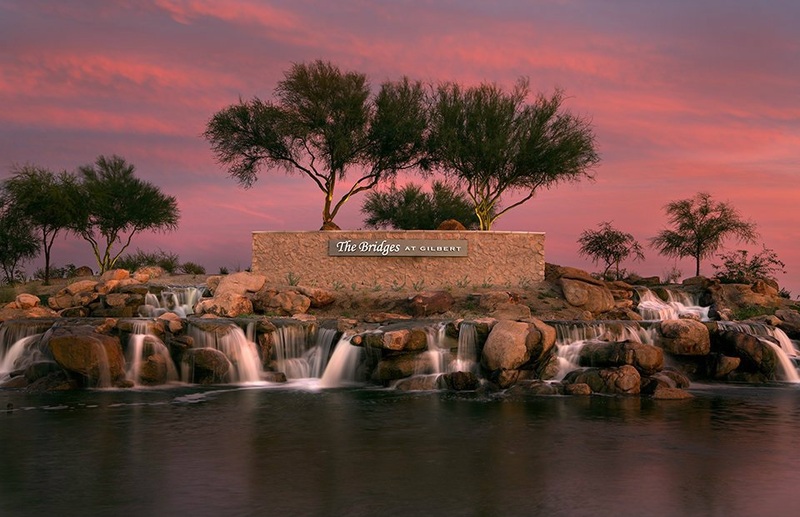 Beautiful lakes and neighborhood parks define the simple elegance and lifestyle of The Bridges at Gilbert, a 469-acre development located in Gilbert, Arizona. The landscape and open spaces are designed to promote interaction between neighbors and to create a greater sense of connectedness. The extensive systems of parks, trails, and open space provide a wide variety of recreational opportunities among the residents, with amenities catering to both adults and children alike. Trees are used to provide shaded walkways and plazas, adding depth of color and creating patterns surrounding the canopies for year-round appeal. 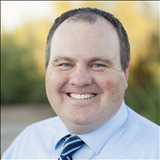 The walkways are easily accessible and the trail system provides a clear, discernible route to the parks, the Town of Gilbert recharge site, and the Sonoqui and Queen Creek Washes for additional trails and bird watching opportunities. Circulation was focused to promote walkability and to provide the opportunity for residents to use all of the available amenities located throughout the community.